Q&A - You have Questions, We have Answers! When you have decided to buy or sell a home, the services of a qualified real estate professional are of utmost importance. You need a dedicated and committed Realtor to work for you so that you are aware at all times of new properties on the market. The Dicaire Team will ensure that you are notified almost immediately of a property coming out online. The Dicaire Team has a good working knowledge of local real estate market conditions, is prepared to deliver a high standard of service to customers and has the support of a large real estate company. Most importantly, we will save you time, money and will eliminate a lot of stress. The Dicaire Team is familiar with the neighborhoods and can give you information on local real estate values, taxes, utility costs, public transportation, schools, shopping, services and amenities. We make it our business to know these communities. An agent is familiar with the entire home purchasing process and can advise you of your legal and financial options as well as recommend legal, home inspection and contracting services. A realtor knows the potential problem areas in a home and can guide you away from homes with somewhat “hidden” problems. The Dicaire Team believes that Real Estate is a business built on relationships. When Real Estate professionals work in an environment of respect and co-operation, serving the client well in a satisfactory manner is easy. The team has systems in place to deliver reliable, consistent and quality service. How is it that some people seem to know about a property before I even see it on mls.ca? First a property is listed with the Real Estate Board via MLX: (the system that Sales Representatives use to find properties for their clients). Then, the Sales Representatives will likely erect a sign. It can be as long as a week before that property shows up on realtor.ca. By then, it could be sold. To make matters worse, the sale of the property may not be reported to realtor.ca for as much as another week! If you are depending on realtor.ca, lawn signs or newspaper ads to find a new home, you are most definitely going to be disappointed time and again. Why should I have an agent representing my interests? The Dicaire Team will help guide you to determine fair market value. We will show you comparable properties and provide you with the research that will help you make informed decisions. We will make sure you are aware of features and outside factors that may affect future marketability of your potential new home. It is important to The Dicaire and when the time comes to re-sell, we want to make sure you will have a good property to offer the market. In short, we make sure you buy right! What about all of the paperwork and legal matters? Do I really need a Realtor to help me with this? The only alternative to working with a Realtor for preparing and reviewing offers is to employ legal counsel. Realtors have been highly trained in this aspect of the process and will ensure that your offers are prepared in a way that protects you. When you consider that we do not charge you for this service, why pay a lawyer? The Dicaire Team will take you through the entire process - we will prepare offers, negotiate, assist you with budgeting, help you find the best possible mortgage consultant and steer you in the right direction for your home insurance. We are a full service Team and it will be a pleasure to do it all for you! How can I make sure I don't miss the perfect property for me? You need a responsive and aggressive sales representative working for you! Someone who is constantly watching the market and advising you of any properties that meet your criteria. 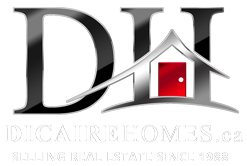 The Dicaire Team will not let you miss any properties that meet your criteria! Will I get a better price on a property if I work directly with the Listing Sales Representative? Not necessarily. The Listing Sales Representative's primary responsibility is to get the very best price possible for his/her Seller - not for the Buyer! How can I find out what properties are selling for in a particular area? When you hire a Member of the Dicaire Team to represent you, in your purchase, rests assure you will receive all of the comparable information you need to establish the right price for any property that interests you. You cannot obtain this information accurately and efficiently if you don't work with a Realtor.